A paperless office is a great thing to aim for: it’s better for the environment, it’s cheaper, and it’s more organised than an office full of stacks of paper. But where do you start? Getting rid of paper is a big task, and it’s tough to pick a jumping-off point. Fortunately, the answer is easy: the first thing you need is a portable scanner. You might have a scanner already, but it’s probably a flat-bed one, old, and slow. That’s not going to cut it. To go paperless, you need to scan just about everything, which means you need a scanner that works fast and gives you high-quality images. 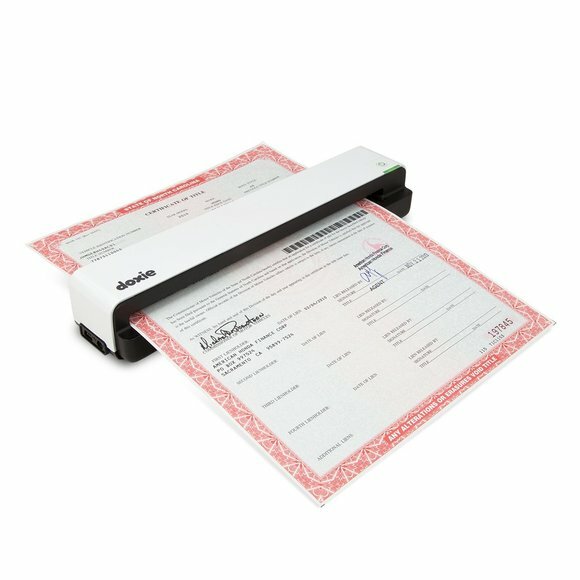 And having a scanner that’s portable will save you a lot of time—if you own your own business, you probably have paperwork in at least two places. You could have some in your house, some in your office, a bunch hiding out in your van or car, and more in storage somewhere. You can haul all of that paper to a single place and scan it, but it’s easier to just bring your scanner with you. Okay, so you’ve decided to go paperless, and you’re looking to buy a scanner. Which one should you choose? First, decide just how portable you’d like it to be. If maximum portability is a priority, you could look into something like the TaoTronics Cordless Handheld Scanner (£40). Its handheld size and AA battery power mean you can take it anywhere with ease. The Doxie Go is another popular option—at £115, it’s more expensive, but thanks to its 8-second A4 scan and rechargeable battery, it’s tough to beat. It’s been on a number of “best portable scanner” lists, and it’s easy to see why. 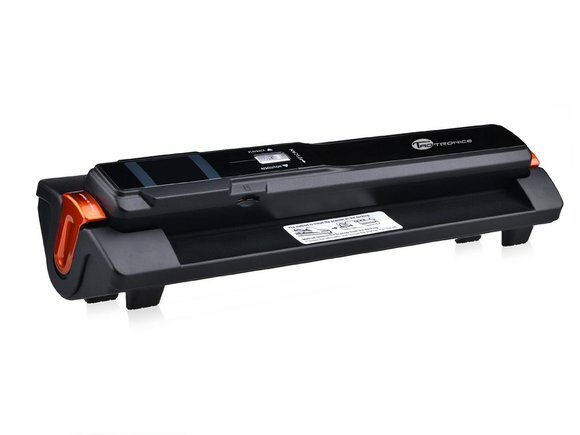 If you’ll be doing most of your scanning from one place, but you’d like to be able to bring your scanner with you if you need to, a large option like the Canon CanoScan LIDE 120 (£62) is a good way to go. 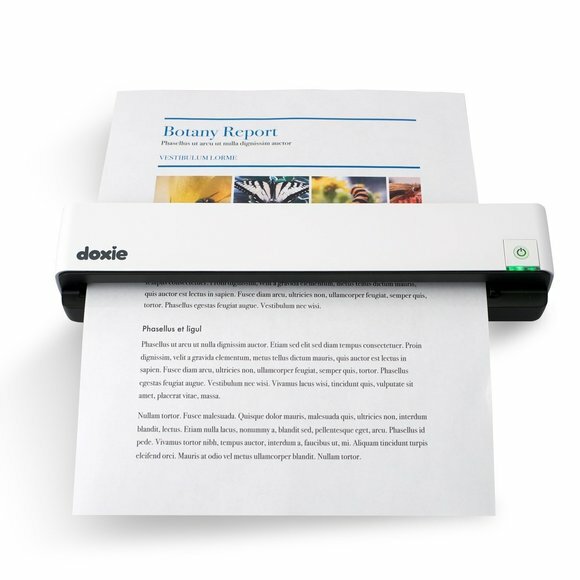 It’s compact and easily portable, but big enough to give you very high-quality scans. 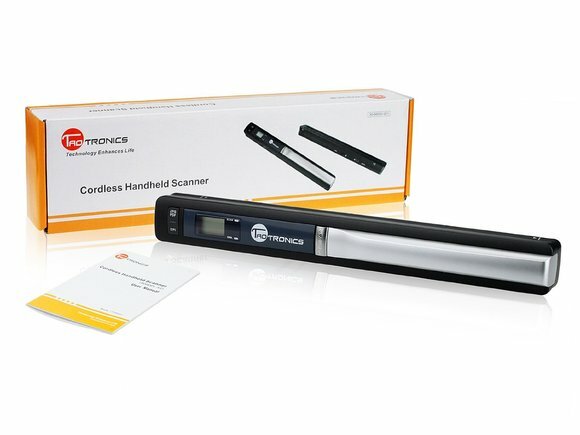 And if you want the best of both worlds, you could invest in the TaoTronics Cordless Handheld Scanner with Automatic Docking Station(£80), which can be used as a portable handheld or a desktop scanner. 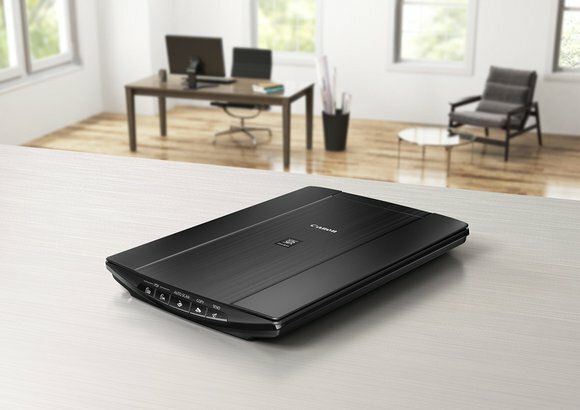 Once you’ve picked a scanner, you’re on your way to going paperless! Start scanning everything—pay stubs, receipts, tax forms, invoices, and any other business-related pieces of paper you can find. The more you have saved on your computer, the more you can recycle or throw in the bin. It’s time to get organised!